LAKE PLACID — The High Peaks again saw big crowds last weekend, and the sheer number of hikers led to at least one motor vehicle accident as thousands of hikers tackled the highest mountains in New York state. Cascade Mountain, outside of Lake Placid, is the most popular of the 46 High Peaks, the ones originally surveyed as being over 4,000 feet in elevation. A glimpse at the Cascade trailhead register over the Labor Day weekend shows that 33 pages of the sign-in book were dated for the four days from Friday, Aug. 31 through Monday, Sept. 3. With 20 lines per page, that means 660 groups signed in. If each group had an average size of three people, that would mean 1,980 hikers attempted to tackle the mountain — although it is a safe assumption that not everyone who climbed the peak signed the register. The Adirondack Mountain Club’s (ADK’s) Summit Steward program will enter its 30th year next summer, but it passed a massive milestone over this holiday weekend. 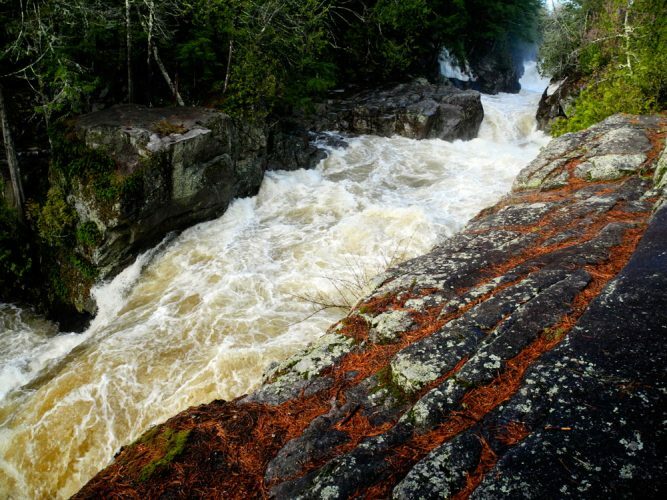 The stewards have now educated a half-million hikers in the program’s 29 years, ADK said in a press release. 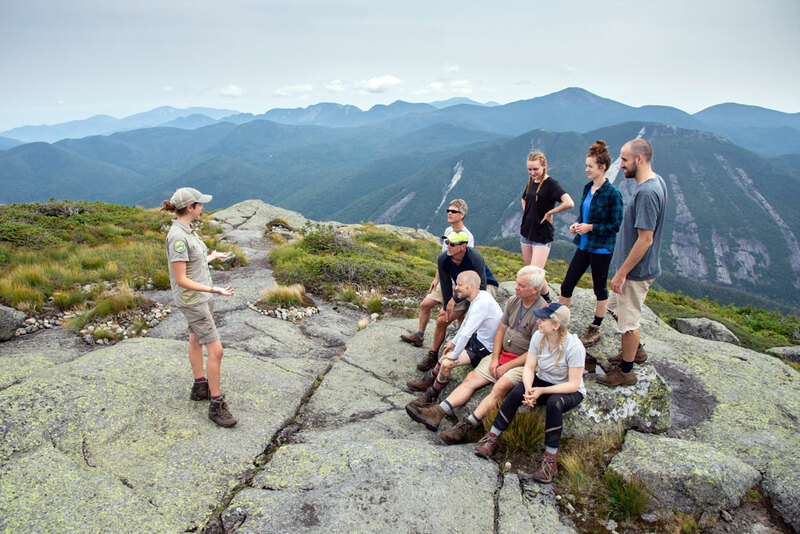 During the summers, the stewards greet hikers on the summits of the state’s two highest mountains — Mount Marcy and Algonquin Peak — every day. The stewards are also stationed on Wright Peak five days a week and on Cascade on weekends. Five of the stewards are paid, and 20 are volunteers. 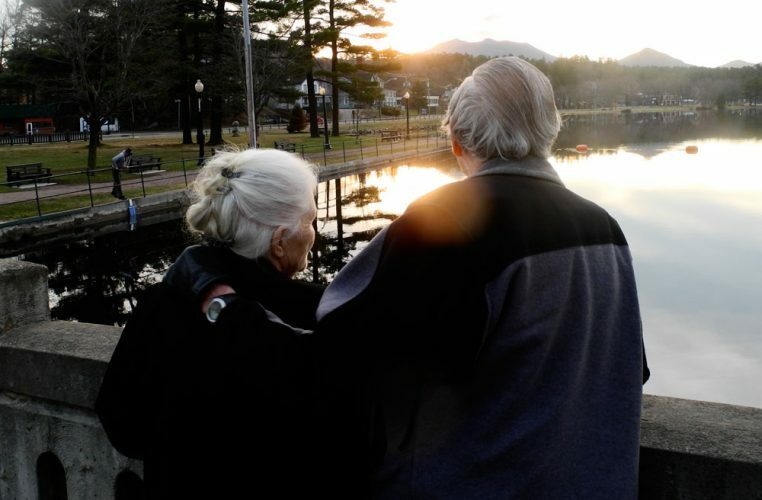 “This milestone was accomplished by interacting with one hiker at a time, in blistering heat, through ferocious biting insects, freezing rain, hail, sleet and snow, for 29 years,” ADK said in the release. “Summit stewards on average hike 1,000 miles and spend 2,500 hours a year educating hikers on the special fragile ecosystem that surrounds them. The group said that between 2010 and 2015, stewards saw a 64 percent increase in the number of hikers reaching High Peaks summits. But despite the increase, ADK says fragile alpine vegetation areas have not been degraded. Another Adirondack green group this week released survey results that show hikers would generally support required education on Leave No Trace principles and temporary trail closures. 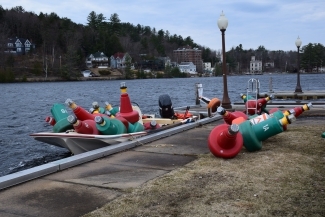 The survey was conducted by the Adirondack Council and the state Department of Environmental Conservation last Columbus Day weekend at the temporarily relocated Cascade Mountain trailhead. The DEC moved the trailhead from state Route 73 to the Olympic Sports Complex at Mount Van Hoevenberg in an effort to reduce congestion and traffic hazards on Route 73. The survey had a small sample size, and the Council warned that means a wide margin of error (plus or minus 6 percent). However, the results found that, well outside the margin of error, hikers came to the area to hike a mountain with a view (98 percent), more so than doing a High Peak (75 percent). Ninety-five percent of the people asked said they would support temporary trail closures “when trails are most susceptible to erosion” and that 58 percent of people would support required education, while 38 percent said they would not. To see the full survey results, go to www.surveymonkey.com/r/3Y7J8D8. 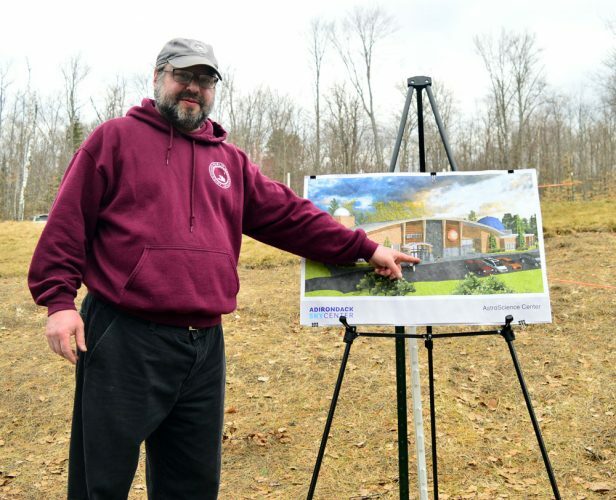 DEC spokesman David Winchell said the department would put out an announcement in the next couple of weeks regarding the Cascade Mountain trailhead, which was temporarily moved from Route 73 to Mount Van Hoevenberg for Columbus Day weekend last year.